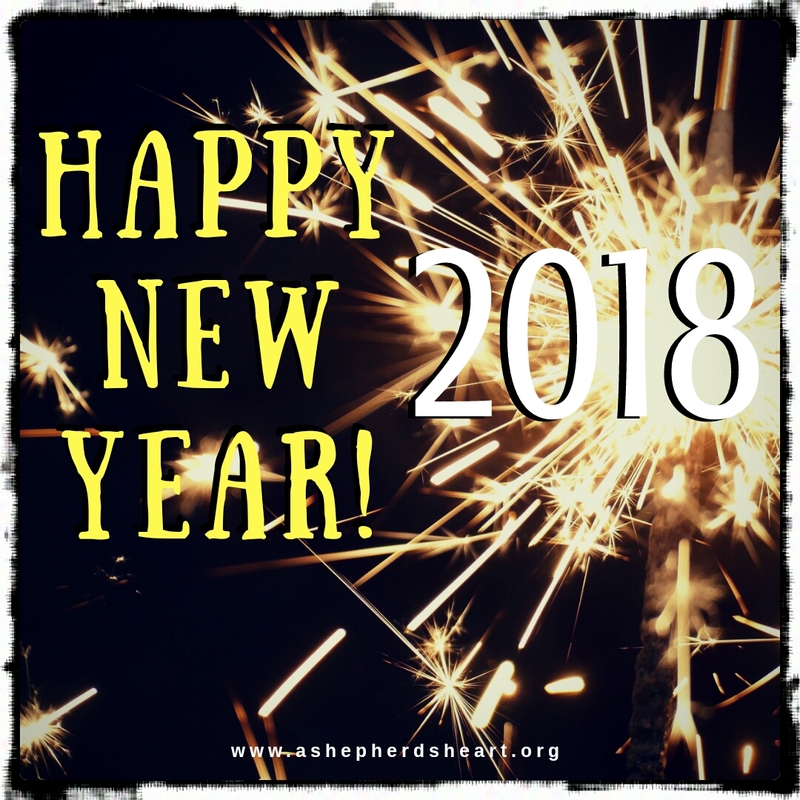 A Shepherd's Heart: Happy New Year: Entering The New Year With Hope In and Waiting On The Lord! Happy New Year: Entering The New Year With Hope In and Waiting On The Lord! Read: Romans 5:2-5, Romans 15:13, Psalm 42:11, Hebrews 11:1; Hebrews 10:23, Psalm 130:5, Isaiah 43:19. Let me be one of the first people to wish you a Happy New Year!!! 2018! I wanted to thank you for the privilege of serving you in 2017! As we close out 2017 and look forward to all that God has in store in 2018, I wanted to share a brief encouragement with you. Throughout 2017 God has repeatedly reinforced the importance of Hope grounded in Him as well as the importance of waiting on Him! 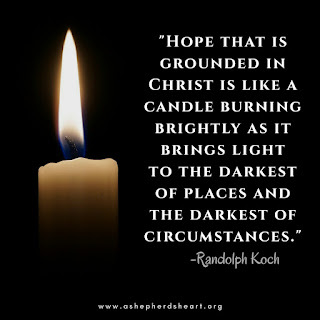 He is our strength and hope and His hope doesn't disappoint! Never lose hope as He is on your side! Furthermore, in regard to waiting on Him...In the New Year may you make it not just another a goal but may you make it a priority to wait on The Lord! Include Him in all your goals, plans, dreams and priorities! Don't try to "get ahead" of The Lord! Wait on Him to move forward seeking Him with all that is within you! No matter what circumstances you face, may you be filled with great hope in Him and may you look forward in optimism because you know The One Who is your strength and holds your future in the palm of His hands! As you enter the New Year, may you hold onto hope and may you experience joy, happiness, success, confidence, good health, prosperity and great faith! May you seek Him daily with everything that is within you! Let's also purpose to pray for one another in these areas and more and may we pray that God will continue to work in and through us for His Kingdom and Glory! Please know that I'm here for your encouragement, prayer and more! Don't hesitate to let me know how I can be of encouragement to you in the New year and if you have resource or other ideas, please let me know as I aim to create new and meaningful content to serve and build up the Body of Christ. Please also remember me in prayer as God guides this ministry regarding what He wants to do through A Shepherd's Heart. Please pray for His wisdom, provision and direction. Have a wonderful 2018! 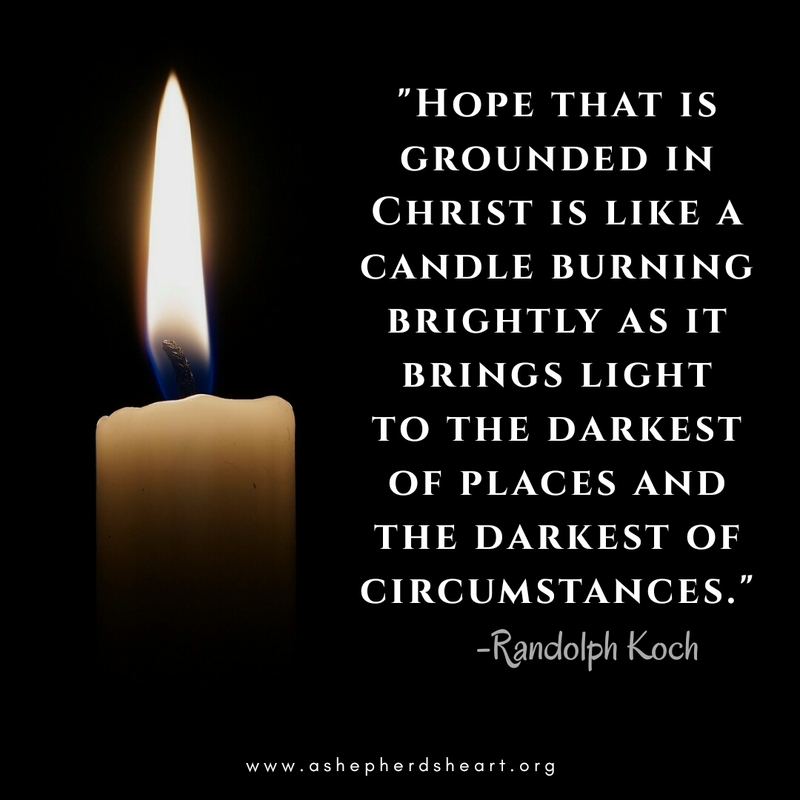 Have a hope filled New Year! Share this image/encouragement with someone today! Encourage them to Hold onto hope! Have a blessed 2018 Randy and family. Thank you very much, Chris! Same to you and yours brother and friend! Merry Christmas From A Shepherd's Heart! Recapturing The Awe and Wonder of Christmas!